Fairlight is located in a quiet pocket of Sydney harbour which lies approximately 13kms north-east of Sydney CDB and divided both sides of the hill by Sydney Road, between Balgowlah and Manly. With local and city bus transport options or short stroll to the Manly fast ferry, Fairlight is a more peaceful suburb compared to its neighbouring Manly. 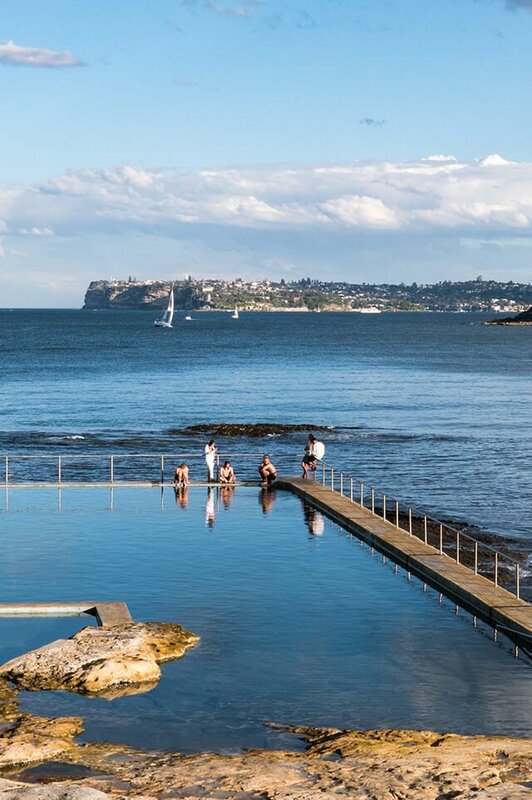 Fairlight Beach and ocean pool is a popular, local hangout for swimming, snorkelling and scuba diving. There are only a small handful of shops that service the essentials for the neighbourhood alongside the popular Butcher’s café and local coffee spot. Fairlight adjoins the Manly scenic walkway which forms part of the Spit to Manly walk and is a popular strip for prams, joggers and serious walkers who attempt the 19.5 km coastal path that takes you from the Spit Bridge to Manly with a loop walk around Manly North Head. Around half of the properties in Fairlight are made up of apartments. Many of the properties are character Federation or Art Deco, with a number of 1970’s towers or modern security complexes. Freestanding houses and semi-detached homes make up the remaining split. Fairlight’s laid back and maintenance free lifestyle is appealing to both young professionals, and the more mature and established audiences. Fairlight is within a 20-minute drive to the local Northern Beaches Hospital located in Frenchs Forest with a 30-minute bus ride to a selection of Sydney’s Universities in the CBD. There are dedicated schools in the suburb of Fairlight so children need to travel to neighbouring suburbs for school. Manly West Public School is located in the neighbouring Balgowlah or St Mary’s Catholic Primary in Manly offers primary options. With Northern Beaches Secondary College Balgowlah Boys and Mackellar Girls Campus as the local high school option. Do you need a Buyer’s Agent who can assist you to purchase a property in Fairlight?